The US. military uses plenty of materials, goods and services, and local officials want to increase the number of Okinawa firms providing them. The Naha City Regional Employment Opportunity Council (NREOC) is coordinating the programs designed to make the military aware of how many quality goods and services are available locally. The premiere event is next week’s NREOC Business Fair ’06. More than 50 businesses will participate in this year’s fair, with vendors running the gamut from construction, renovation, installation, maintenance, food, souvenirs, temporary staffing, electric appliances, transportation and trading. The firms are registered vendors with the military contracting system. In the past, the typically smaller Okinawa companies found it hard to compete for the military contracts because they had little knowledge of Americans and how to deal with them. NREOC solved that by offering seminars and lectures with guest speakers. A typical seminar explained the fine points of understanding business relationships from an American perspective, explaining how to make contracts with military organizations such as the Army Air Forces Exchange Service (AAFES). 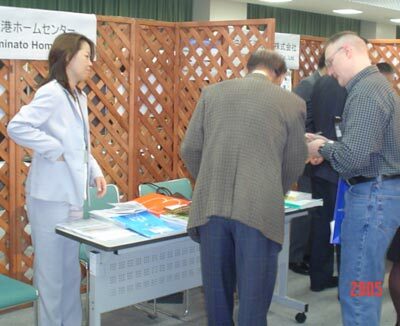 The upcoming NREOC Business Fair ’06 will be at Sunset Mihama Exhibition Hall from 2~6pm on Wednesday. NREOC is a Japanese government funded council established only two years ago to promote business on Okinawa. NREOC leaders say they’re committed to fostering expansion of economic ties between the American military community and the Okinawa business community. A key goal is to expand use of skilled local labor. 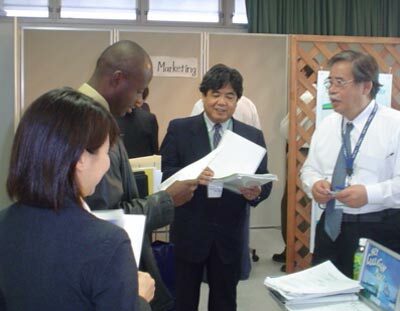 The Business Fair is held in the Kokumin Nenkin Hotel that is located to the north of Sunset Beach in Mihama. Ample free parking is available at the hotel’s parking lot.. The hotel is easily recognized for the water slides on its beach side. Seminar information is available from NREOC at (098) 800-7563, or by emailing seminar@nreoc.jp.